Vitamin D deficiency has been associated with cholestatic liver disease such as primary biliary cirrhosis. Some studies have suggested that cirrhosis can predispose patients to development of osteoporosis because of altered calcium and vitamin D homeostasis. The aim of this study was to determine the prevalence of vitamin D deficiency in patients with chronic liver disease. One hundred and eighteen consecutive patients (43 with hepatitis C cirrhosis, 57 with hepatitis C but no cirrhosis, 18 with nonhepatitis C-related cirrhosis) attending the University of Tennessee Hepatology Clinic had their 25-hydroxyvitamin D level measured. Severity of vitamin D deficiency was graded as mild (20–32 ng/ml), moderate (7–19 ng/ml) or severe (<7 ng/ml), normal being >32 ng/ml. Of patients, 109/118 (92.4%) had some degree of vitamin D deficiency. In the hepatitis C cirrhosis group, 16.3% (7/43) had mild, 48.8% (21/43) had moderate, and 30.2% (13/43) had severe vitamin D deficiency. In the hepatitis C noncirrhotic group, 22.8% (19/57) had mild, 52.6% (30/57) had moderate, and 14% (8/57) had severe vitamin D deficiency. In the nonhepatitis C-related cirrhosis group, 38.9% (7/18) had mild, 27.8% (5/18) had moderate, and 27.8% (5/18) had severe vitamin D deficiency. Severe vitamin D deficiency (<7 ng/ml) was more common among patients with cirrhosis compared with noncirrhotics (29.5% versus 14.1%, P value = 0.05). 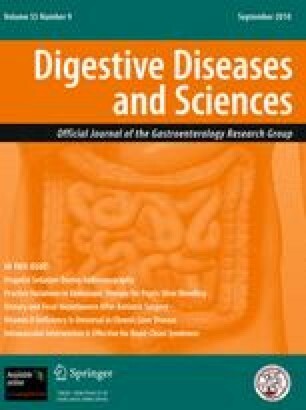 Female gender, African American race, and cirrhosis were independent predictors of severe vitamin D deficiency in chronic liver disease. Vitamin D deficiency is universal (92%) among patients with chronic liver disease, and at least one-third of them suffer from severe vitamin D deficiency. African American females are at highest risk of vitamin D deficiency. The findings were presented at the American College of Gastroenterology Annual Meeting, Orlando, FL, 2008. High prevalence of severe vitamin D deficiency in patients with chronic liver disease. Severe vitamin D deficiency correlated with severity of liver disease. African Americans and women are at highest risk for severe vitamin D deficiency.